Wanted to do something for Memorial Day since I had the time to do it tonight. Simple stuff. Base in Color Club White. Did some stripes with Sally Hansen Insta-dry Rapid red and Cheeky10 and added Rhinestones in blue. Came out cute. I have been at a conference for three days. I am actually looking forward to going back to work tomorrow. Then off for a three day weekend. Hopefully with good weather. 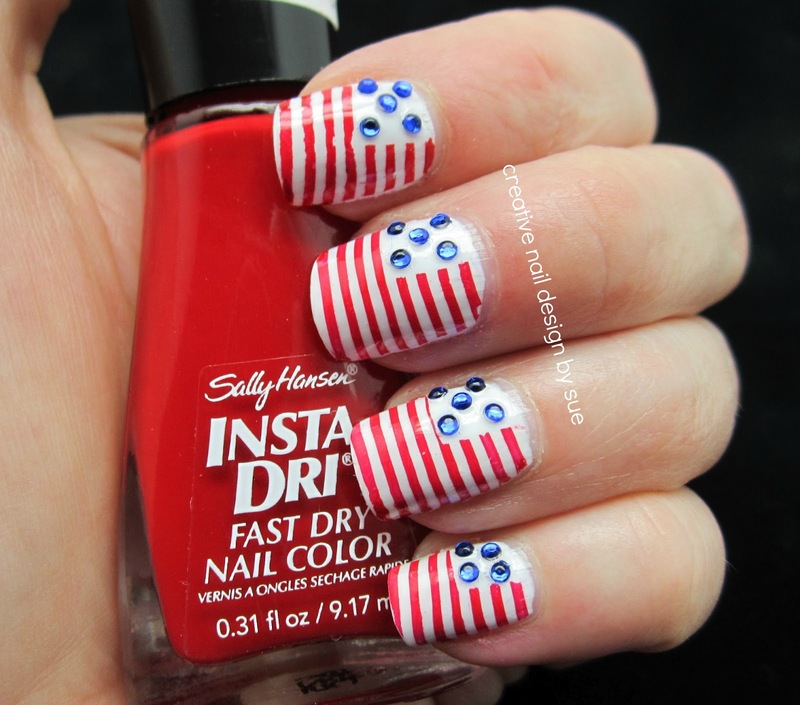 Ooo I may have to recreate this for 4th of July, I love the rhinestones! oo this is really pretty!!!!!!! I love it :) very creative! aww these are super cute! love the rhinestones! I love it! It's fun and so pretty! oh so cute! the stripes are perfect! Nope stamped but used insta-dri so some didn't transfer well because I didn't work fast enough so I touched it up with a nail art brush.